Digital art is one of the best examples of the level of patience that can be achieved by a dedicated professional. Countless hours put into these awe-inspiring 3D models have translated into something that we proudly call a standing-ovation moment. We have collected 32 male 3D models that will most likely take your breath away (unless you're so excited you're already holding it). Leave your thoughts in the comments! 1. 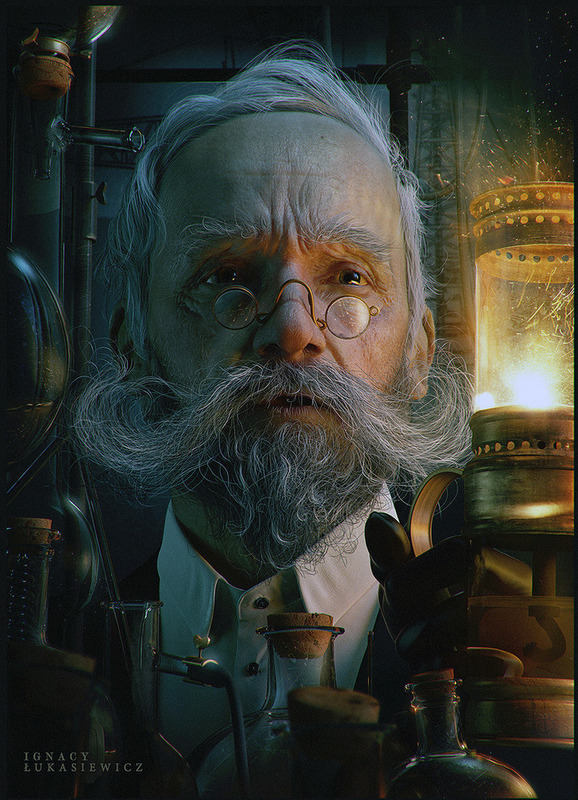 3D designer Ji Hee Lee used Zbrush, Maya, Mental Ray and Photoshop to model this Old Man's portrait. The detail that went into the artwork is astonishing - just look at all those wrinkles and that beard! What the author says: The base mesh was done in Maya and the details are sculpted in Zbrush. I used Maya HairSystem and fur for the hairs. The shading, lighting and fur was finally rendered on Mental Ray. 2. 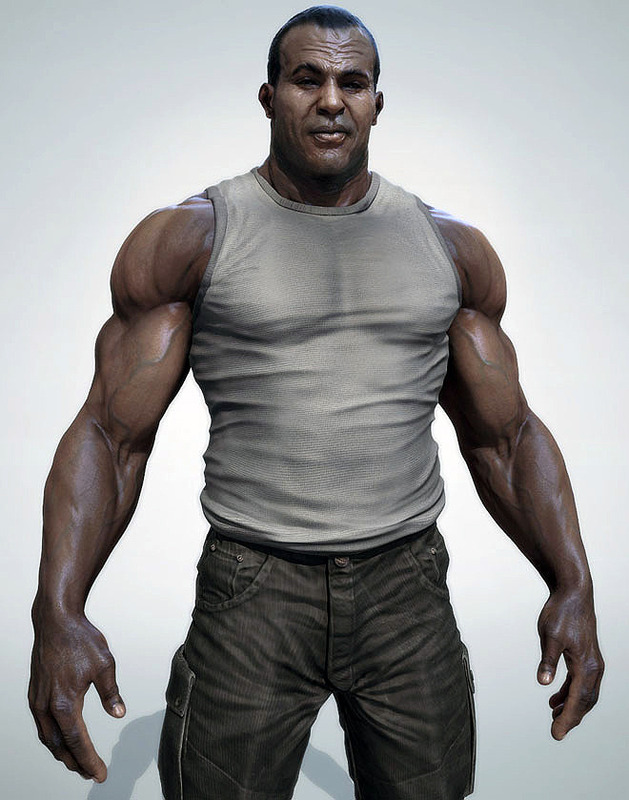 I don't know about you guys, but I'm happy this is just a super realistic 3D model. Anthony Guebels used 3ds Max and Photoshop to model this badass. 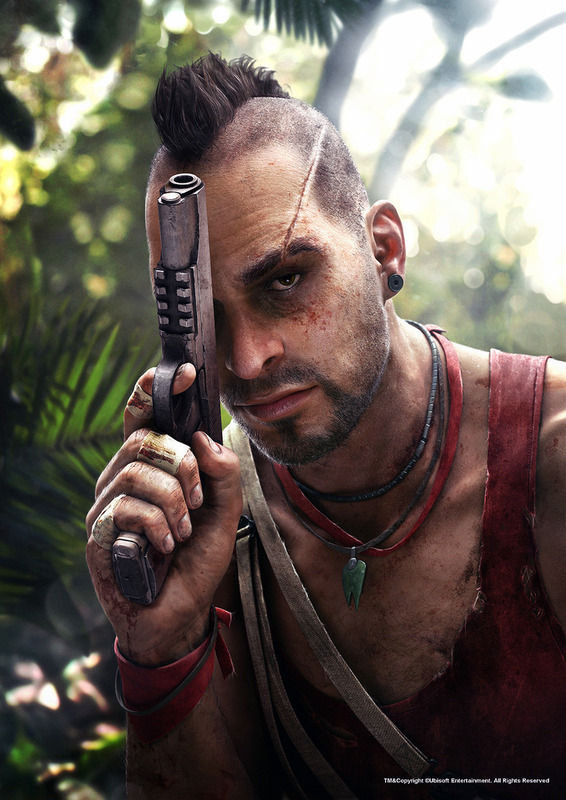 What the author says: Artwork created for the marketing of Ubisoft "Far Cry 3". 3D character model made by others. I did the 3d setup (posing/light/render/...) and 2D paint/details/post in Photoshop. What the author says: After a year of comings and goings in this picture, I get to finish. It's a remake, fan art, or a mixture of dwarfs the hobbit movie. I'm not sure, telling the truth, I was super excited to make a dwarf, after I saw the movie The Hobbit last year! 4. 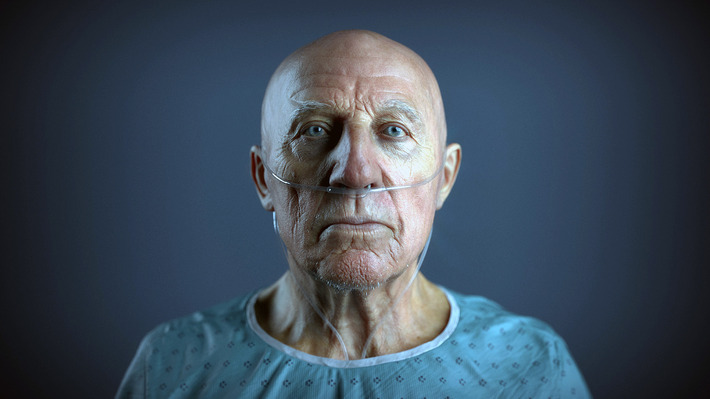 Modeled in Maya, Mudbox, VRay and ZBrush this portrait by Alex Huguet is a brilliant example of how far 3D designers have come. 5. This is Bond, James Bond by Luc Begin. Created in ZBrush, Photoshop and Hair Farm. I wouldn't be surprised if he started talking. 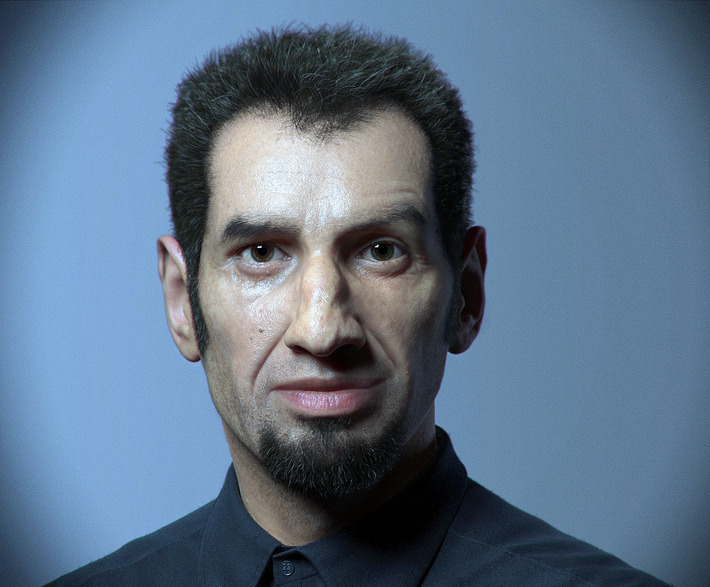 What the author says: My goal was to do a realistic portrait in 3D of a normal person, and try to make him look alive. I think doing CG character it is always a challenge, as it has so many details we have do deal with to make it look real. It’s fascinating how complex the human body is and, subtle at the same time. 6. 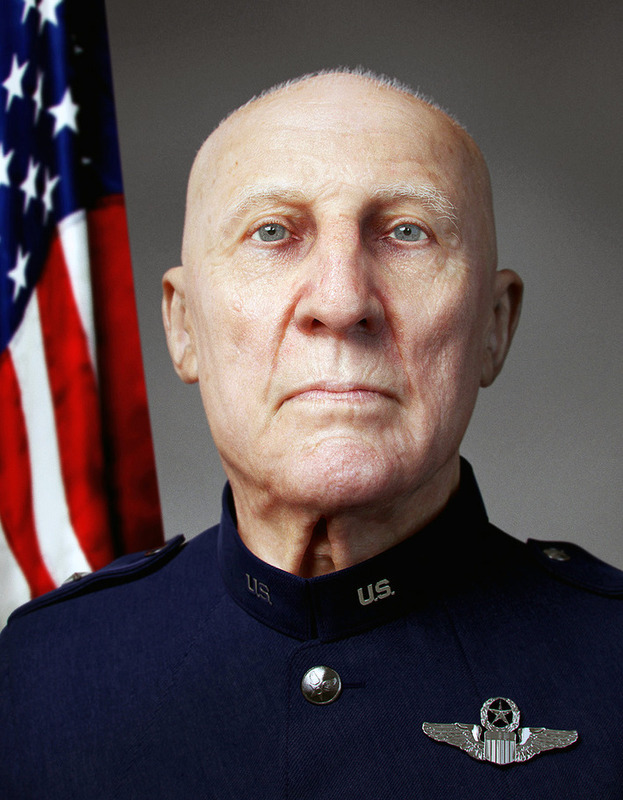 Leo Takeshi Sakamoto's Officer portrait modeled in Zbrush; texture in ZBrush and Photoshop; rendered in 3ds Max, using VRay. 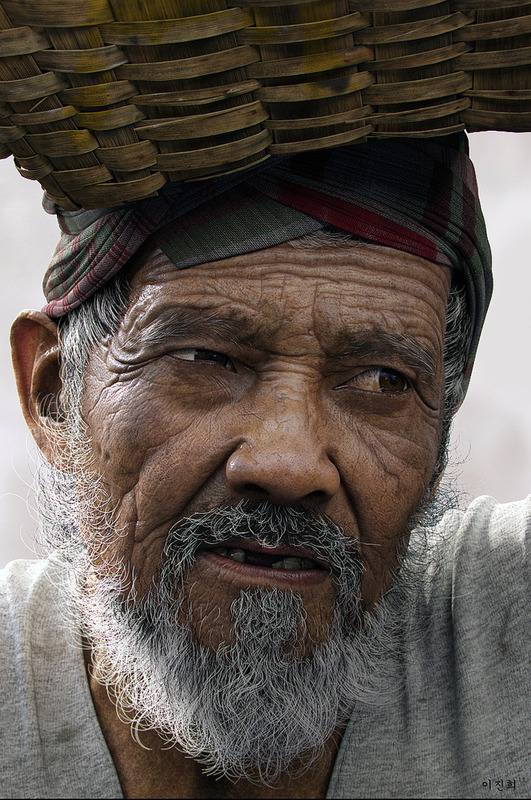 What the author says: This is my first project in 2014 and it's the first attempt at a realistic portrait of an elderly. 7. This amazing render is by Yulin Ma, modeled in Maya, Mental Ray, ZBrush. 8. 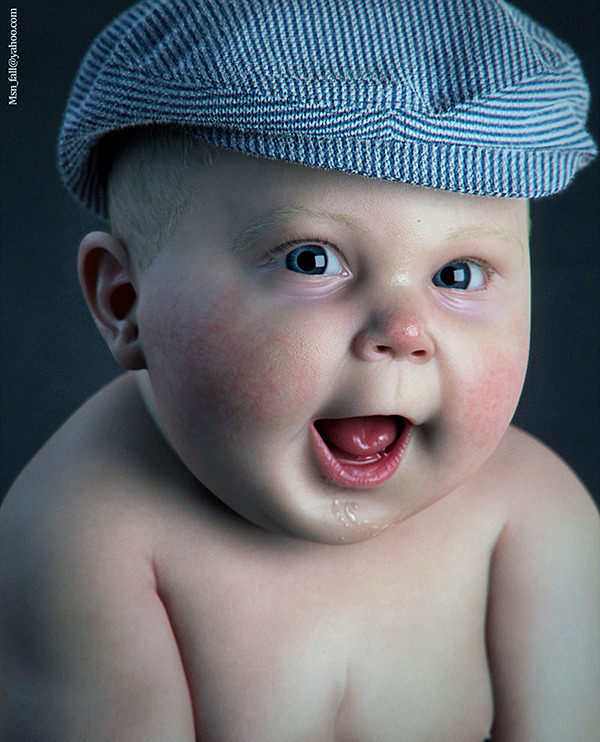 This unbelievably cute little fella 'Fafal' was modeled by Mohsen Fallahwpisy in BodyPaint, Maya, Mental Ray and ZBrush. What the author says: Fafal is actually one of the virtual characters of my childhood. At the creation stage I had tough time modeling something as smooth as a child's body, but at the same time I had fun dealing with babies. 9. 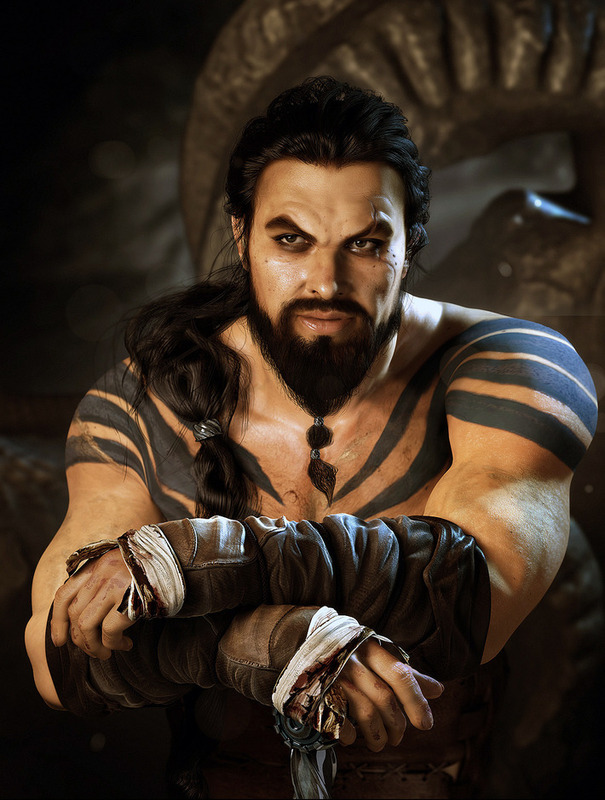 This is Drogo by Baolong Zhang modeled in ZBrush, 3ds Max, Maya and Photoshop. 10. 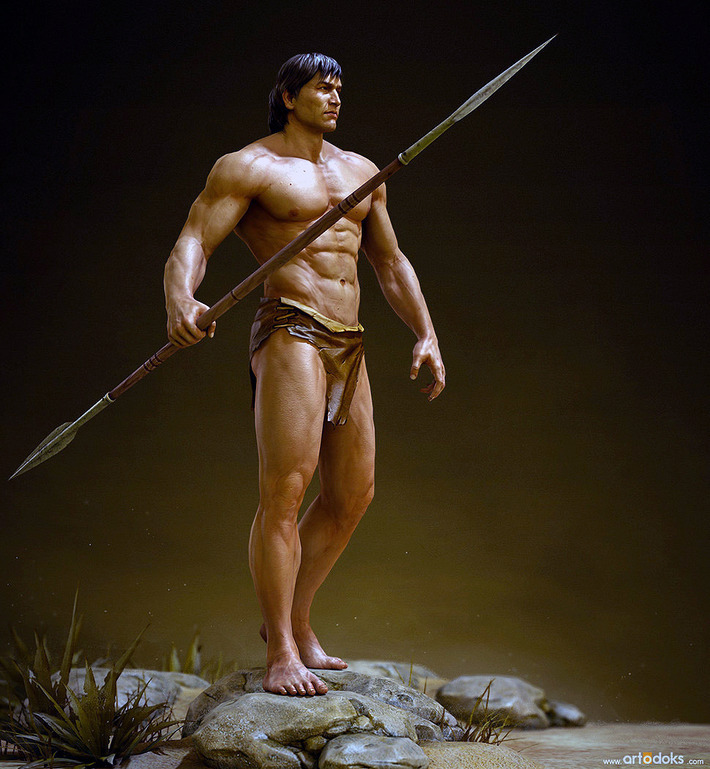 This mountain-like man 3D model is titled 'Warrior' by Su Yeong Kim. Modeled in 3ds Max, Mental Ray, ZBrush and Photoshop. What the author says: This is my first portfolio. I got inspiration from the Norse mythology. This warrior is Tyr, bro of Thor. Tyr is the bravest and boldest god of war. Later, he lost his arm to Fenrir, a wolf in myth. 11. 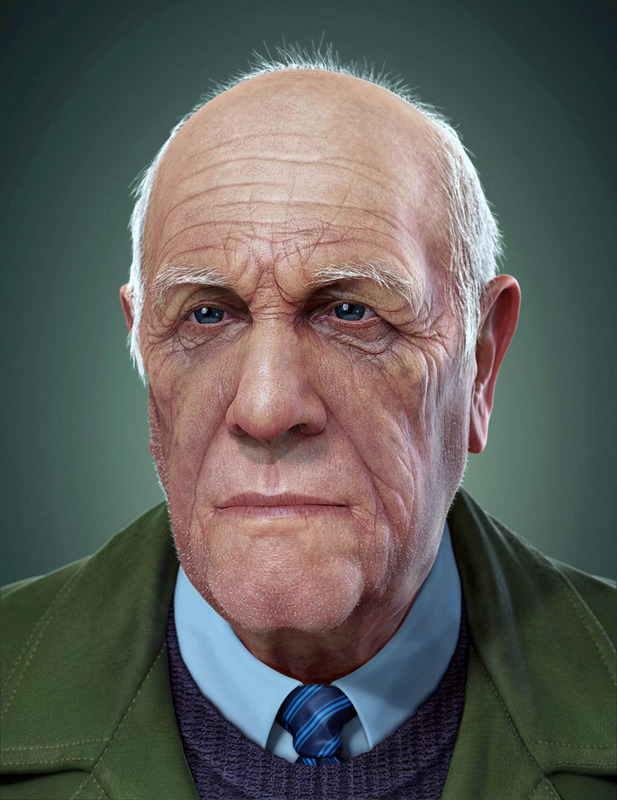 Daniel Wilkinson's work, titled 'A bust of an old man' is another amazing 3D model created in ZBrush and Photoshop. 12. This is magical realism at its best. 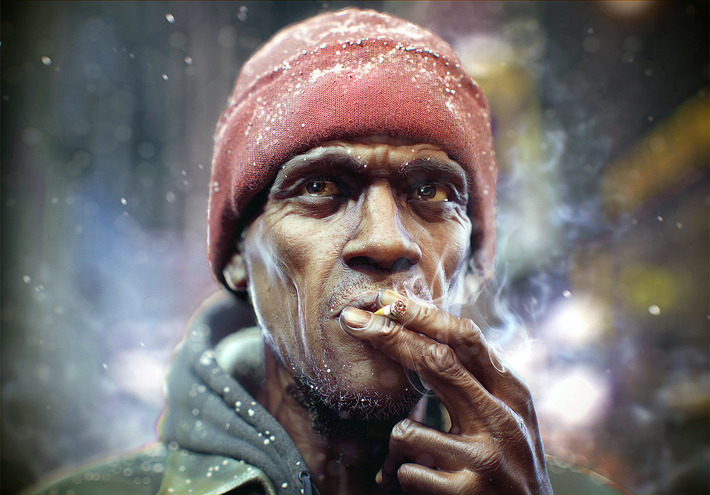 Beautiful 3D model titled Urban Melancholy is by Sergey Andreichenko, dedicated to homeless people in big cities. Modeled in ZBrush, VRay and 3ds Max. 13. A little more mannish Tarzan than we're used to seeing by Vadim Makarenko. The character is based on art by Joe Jusko and was created for an unannounced project. 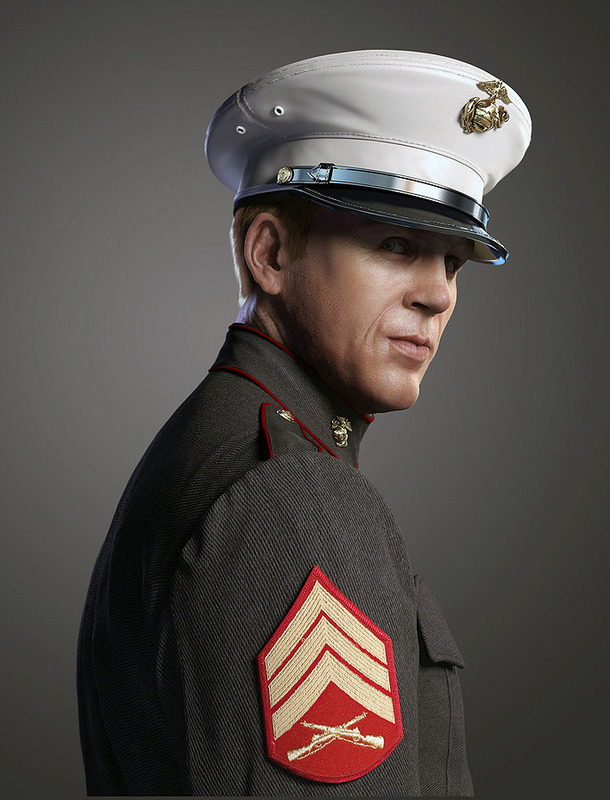 Modeled in 3ds Max, Mental Ray, Photoshop, ZBrush. 14. This unnamed II WW U.S. Army Officer by Damien Lewis. 15. 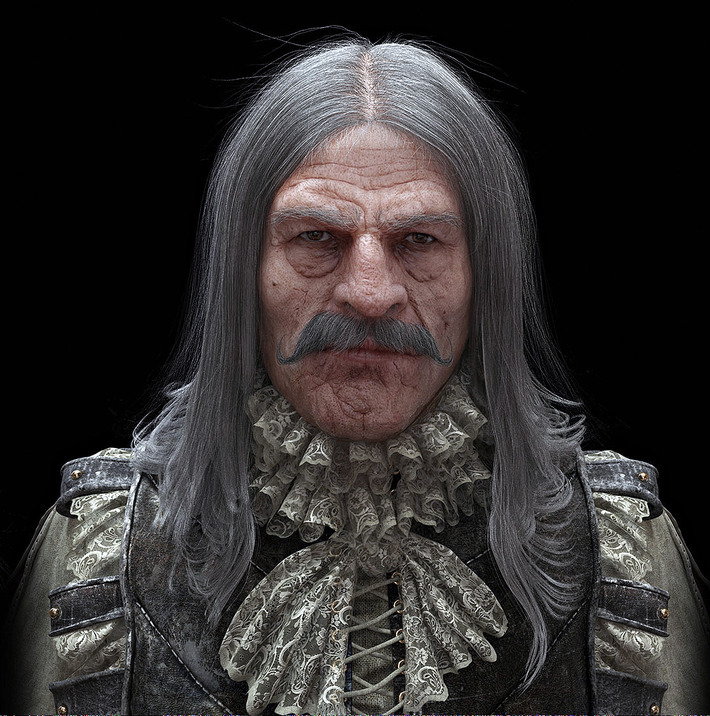 Igor Catto had a go at an iconic character 'The Musketeer'. The model is based on a concept by Little Druid. Created in Zbrush, XSI, Modo, 3ds Max, Photoshop, Illustrator, VRay and Mental Ray. 16. 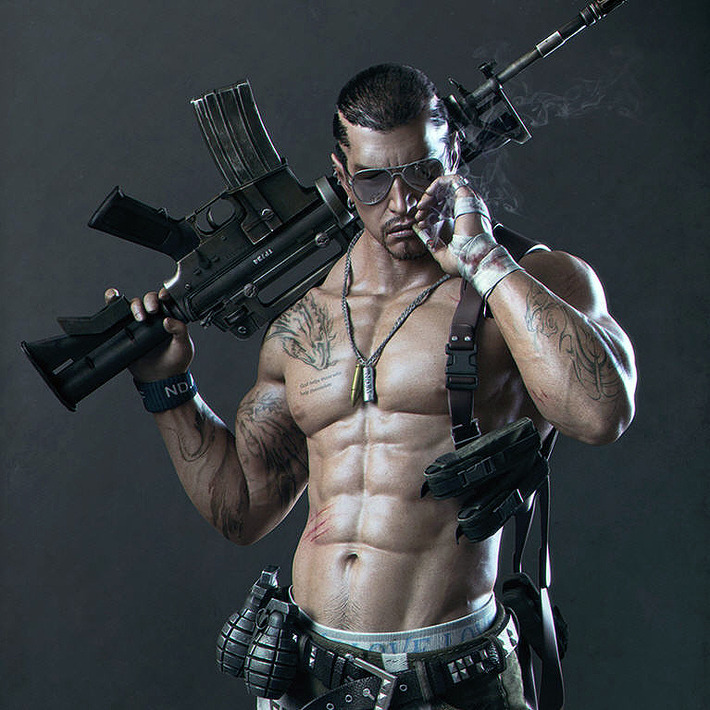 Titled 'A Dude', this 3D model could be a great gym motivation. Modeled by Rodrigue Pralier in ZBrush. 17. 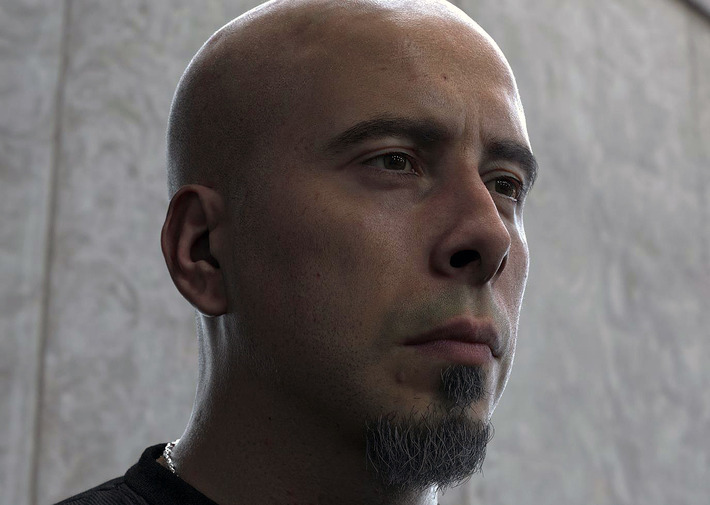 Modeled in ZBrush, this Glauco Longhi's work titled 'A real-time portrait' is an amazing example of the power of photorealism. What the author says: his project started as a ZBrush demo for Jeffrey Wilson`s class on how to clean up a scanned head, done by my friends at 3dscanstore. I decided to take it further and re-texture it, refine the details and change the sculpt a bit, hand sculpt the leather jacket and study real-time shaders/light/render. The hair is cards with transparency. 18. 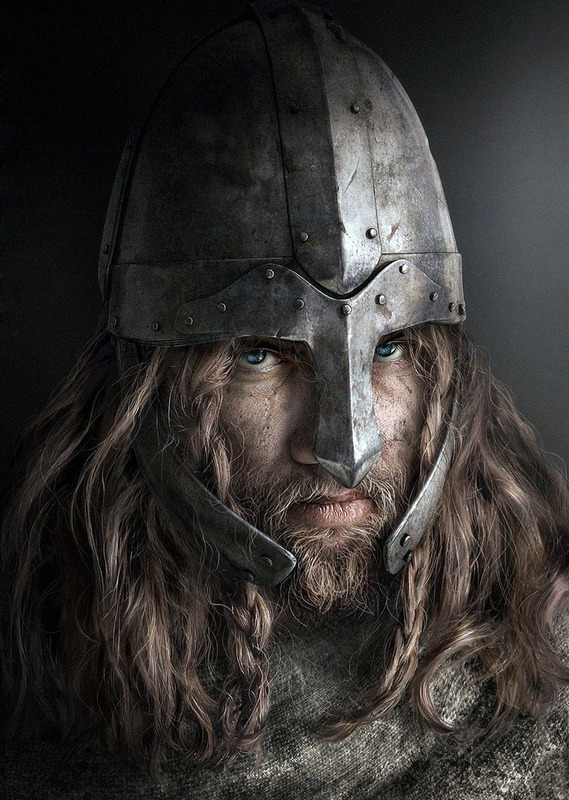 Silvia Fusetti's 3D model titled 'Barbarian Warrior' is both beautiful and terrifyingly photorealistic. Modeled in XSI, POSER and Photoshop. What the author says: I made a part of this book cover in 3D graphic (xsi for the helmet and poser for the basic reference face), but the most part of the work was done in Photoshop. I did some reference photos for skin textures and hairs (thanks to Lorenzo for posing). There's a lot of painting in this work. The beard is totally painted, too. About the helmet: modeled by Gabriele Sina, I did texturing, lighting, shading. 19. 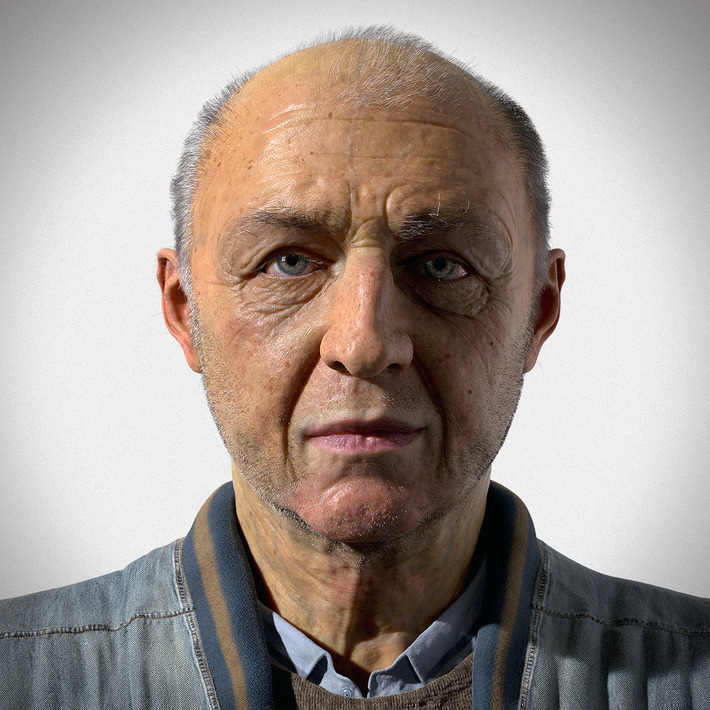 This portrait by Luc Begin was modeled in Hair Farm, 3ds Max, VRay and ZBrush. 20. 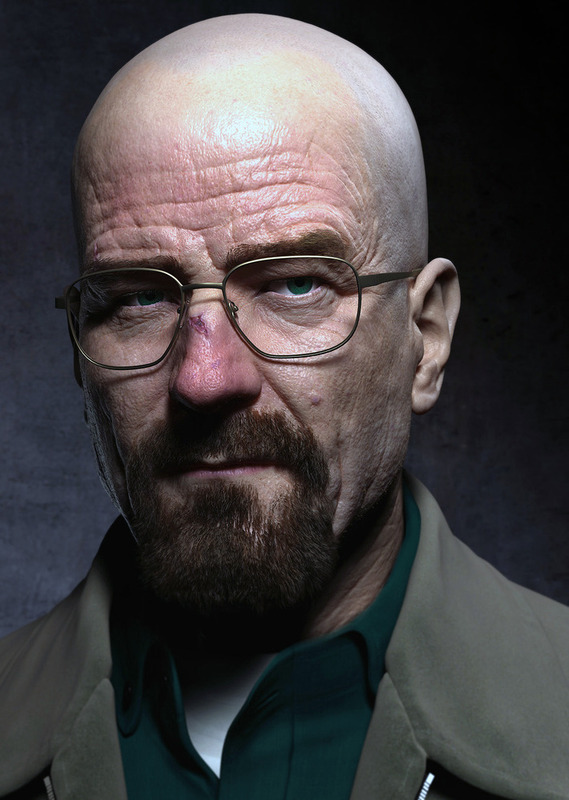 Walter White by Riccardo Minervino is looking as sharp as ever. Riccardo’s been working in the game industry since 1997, and is now a 3D generalist currently living in Kyoto, Japan working for a video game company there. 3D model created in ZBrush, Maya and Octane Render. 21. Christopher Brändström used Zbrush, Maya, Mudbox, Mari and Mental Ray to model this amazing 3D model titled 'The Flash Noir'. What the author says: Started working on it almost 2 years ago, but didn't have time to finish it back then. 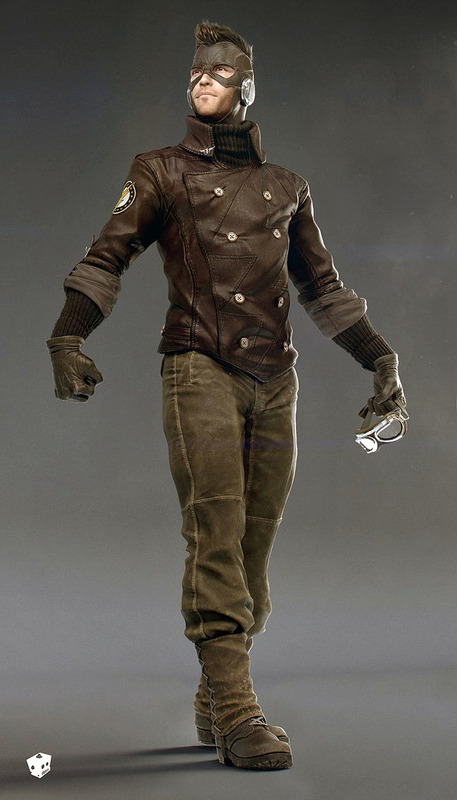 This is my take on a 40s version of The Flash. Didn't want to overdo it with very sci-fi gadgets, nano-fabrics or general high-tech neon-glowy stuff. Wanted it to feel like a first trial run of the suit before it became the red/yellow spandex suit it is today. 22. 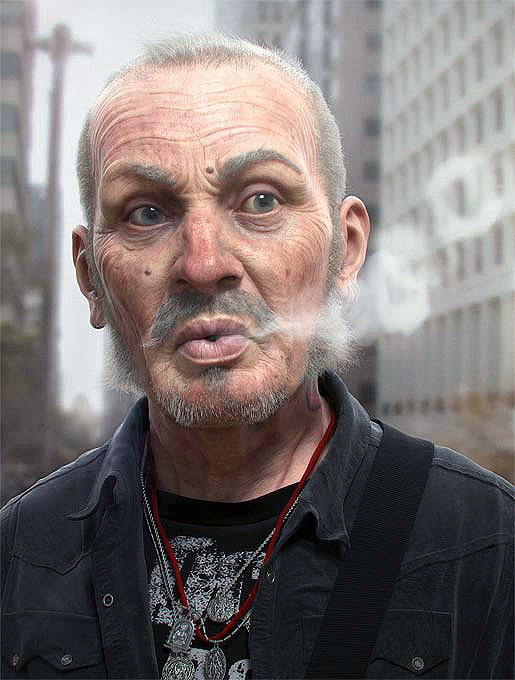 This self-portrait by Marco Di Lucca was modeled in Maya, Softimage, ZBrush and Mudbox. What the author says: I’ve been working on this self-portrait over the past few months. It all started by testing out few software and I did not originally planned to take it this far, but eventually I did and this is just one of the many renders that I’ve produced. 23. 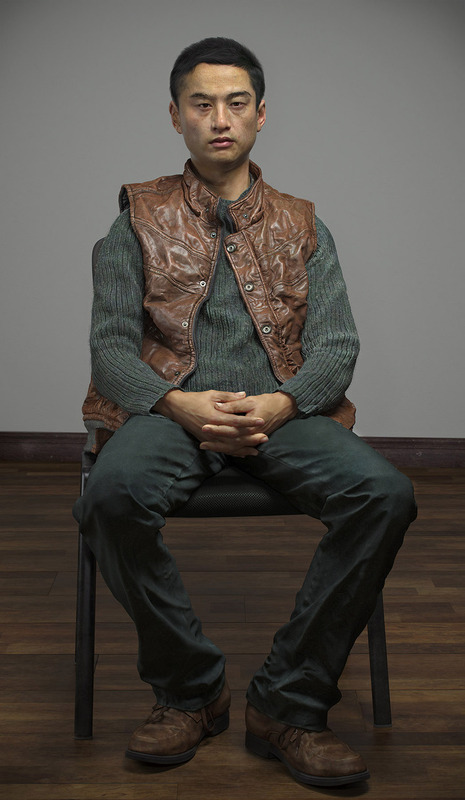 Looking at Rodrigue Pralier's 3D model titled 'Roadie', I get a feeling that this tired-looking man is contemplating some really deep thoughts... The author is a huge anime fan and owns more than 2,000 anime figures. Rodrigue says he loves "simple but efficient designs where you can recognize the personality of the character at first sight" and that comes across very well in this beautiful 3D model. Created in 3ds Max, Brush and VRay. 24. 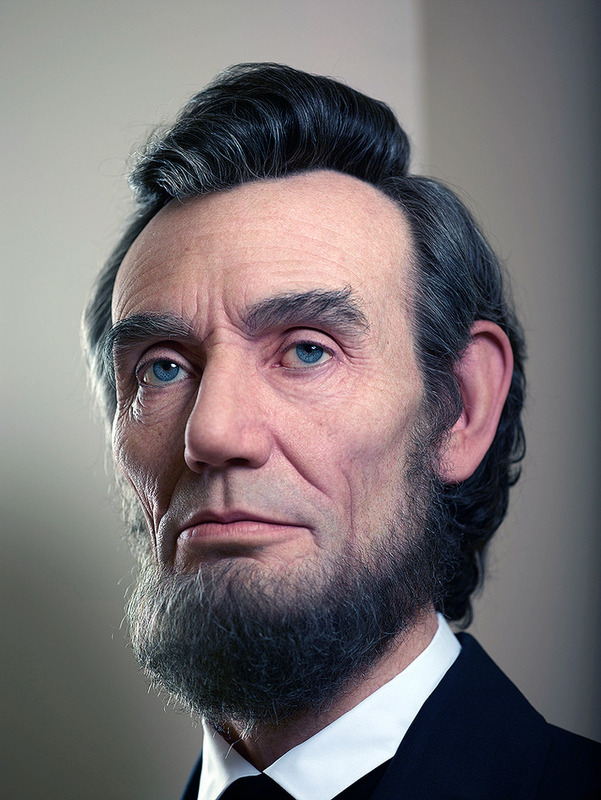 Kazuhiro Tsuji did a fantastic job modeling Lincoln's portrait. Kazuhiro brings his impressive design skills and hyper realistic technique from the film industry. His renders portraits are known to emit a profound sense of soul and emotion to viewers. 25. 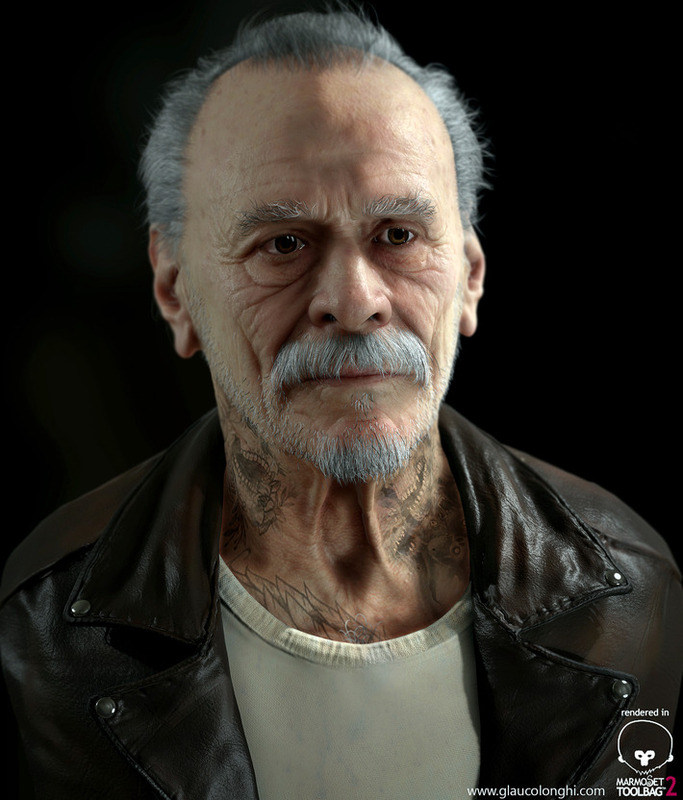 This impressive 'Old Guy Portrait' was modeled by Sohrab Aibaghi Esfehani in Maya, Zbrush, Mudbox, Photoshop and Vray. What the author says: Here is a portrait that I have done in my spare time using some of the assets that we have created in Douglas Fisher studio. I still haven’t done any retouching on this piece so far. Did some colour correction in nuke but still haven’t retouched it the way I would retouch a single image. In other words I made sure I can render a turntable with the same quality. I am however planning to do some still image retouching on this piece if I get some time to do so. 26. With a touch of magic kindling in this 3D model titled Ignacy Łukasiewicz, designer Pawel Rebisz demonstrates the amazing capabilities of 3D modeling. 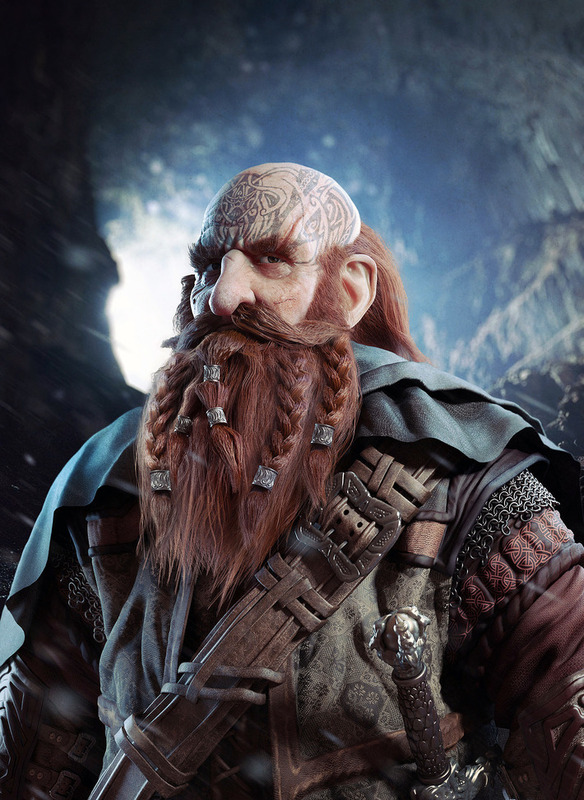 Pawel is a digital artist from Rzeszow, Poland, interested in 2D and 3D character design. The model was a project for Goverdose – polish Digital Art Collective. Done in 3ds Max, VRay and ZBrush. 27. This is a second model by 3D artist Riccardo Minervino featured in the list! That's impressive. 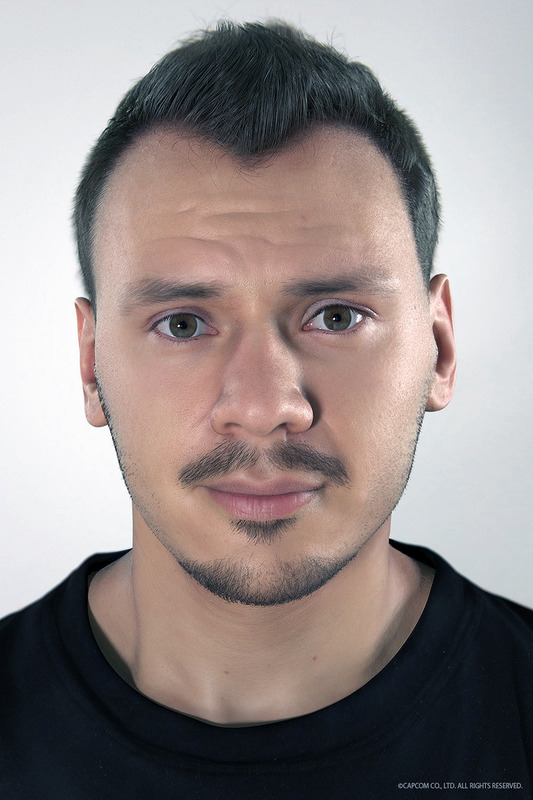 A realistic portrait modeled in Maya, ZBrush, Octane, Ornatrix. What the author says: This image is the result of many months of research, and combines the latest technologies with years of experience. The head is a scan-base model, retopology and skin details were created in ZBrush, the hair was made in 3DSMax with Ornatrix and the final image was rendered in Octane Render with physically based shaders. 28. Jian Xu's 3D model of Body Builder is not only impressively detailed, but also explores a very peculiar sports area that's not so popular amongst 3D designers. Jian modeled it in 3ds Max; also used ZBrush to make the most details; Photoshop for texture; Mental Ray for rendering. 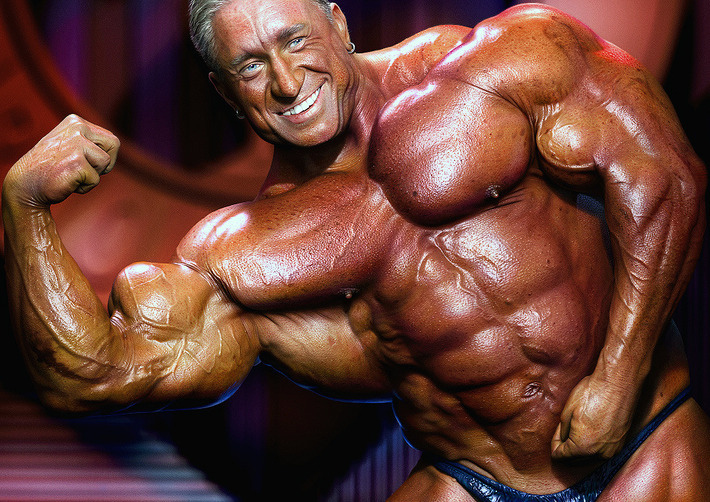 What the author says: He is a famous body builder, I fancy the feeling of his smile and muscles he is representing. I created the image using one of his real photos. 29. 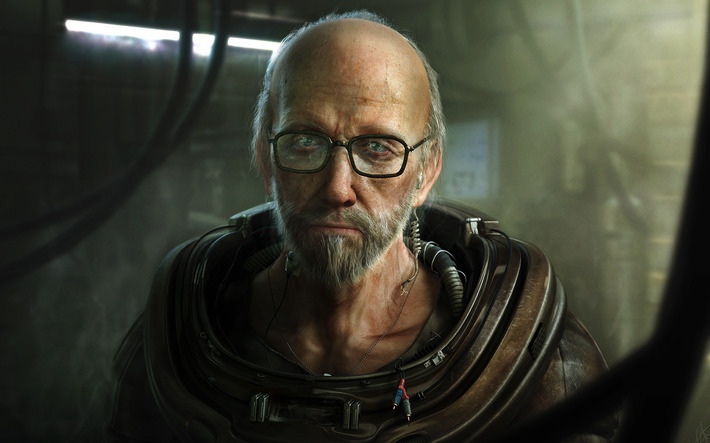 Anthony Guebel's work titled 'Old Man Space Man' was modeled in 3ds Max and Photoshop. This guy has a powerful stare! What the author says: I’ve been working for a while on this. I especially spent a lot of time on the lights setup… Almost gave up the project several times and got quite frustrated with this one. I really feel it’s time to move on something else. Anyway, here’s the final result. 31. Although it looks like a shot from National Geographic's documentary, it's actually a 3D model by Adam Skutt done in ZBrush. 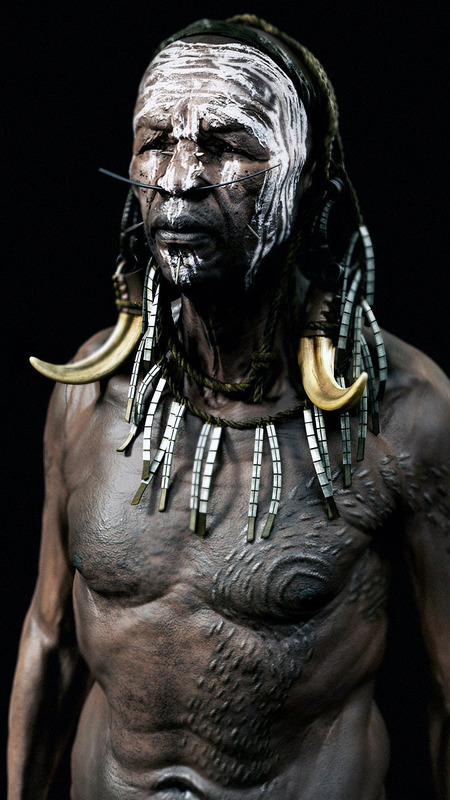 What the author says: The Mursi Tribesman image was a way for me to test out different techniques I had learned during my four years at school. Realism was not my focus in this piece but rather creating a painterly CG illustration that I could have printed on a canvas. This way I could test my modeling, texturing, lighting and shading skills all in one project while still working towards my degree. 32. Titled 'Meditation', this 3D model by Heyna Studio could as well be a capture from a documentary movie on the male midlife crisis. What the author says: This is my latest personal work. I’ve been working on it for several months (my spare time). Modeling, topology, UV, texture from ZBrush. Finally, displacement maps generated from ZBrush, 3ds Max, rendered using the VRay. Your work can be featured in our inspirational posts! Upload images of your models to our gallery and we'll make sure to review each and every one of them. Any questions? Leave a message in the comments. 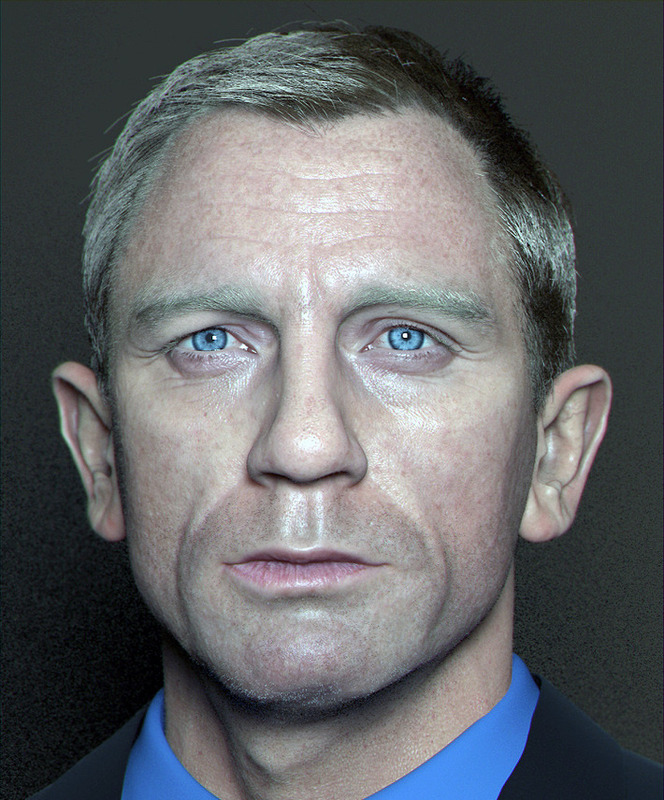 We're saying big THANKS to Boris, our undercover sharp-eyed agent, who helped us pin down the best male 3D models. When not on a classified mission, Boris carries on with his life as a 3D artist-generalist. He gained his degree in multimedia arts and has a number of years of combined experience using digital media both as a designer and as a 3D artist. 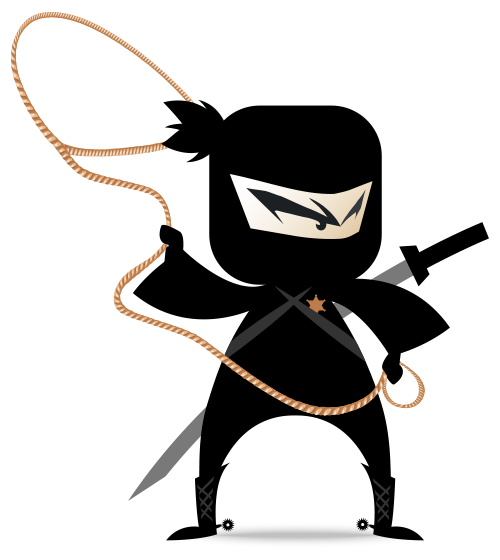 Boris describes himself as self-motivated, innovative, capable of adapting quickly to dynamic environments and able to work well under pressure (the definition of secret agent!). He also plays DOTA and is currently residing in Lithuania. That is really impressive! Thanks for the digest.